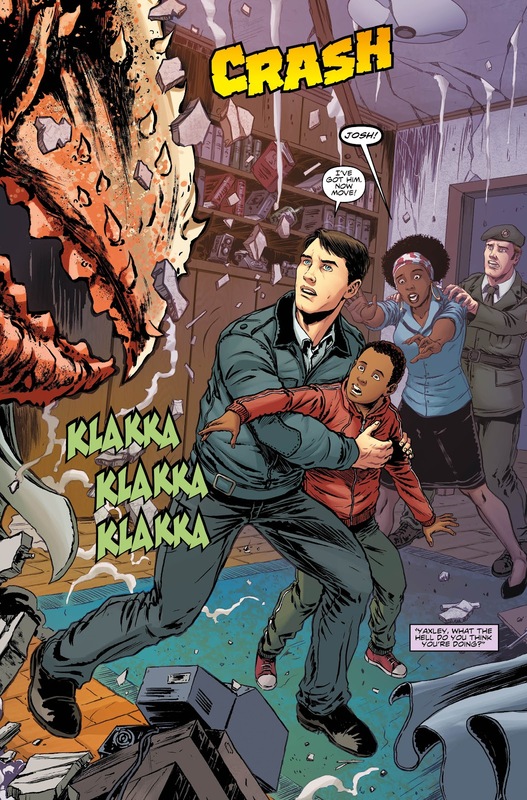 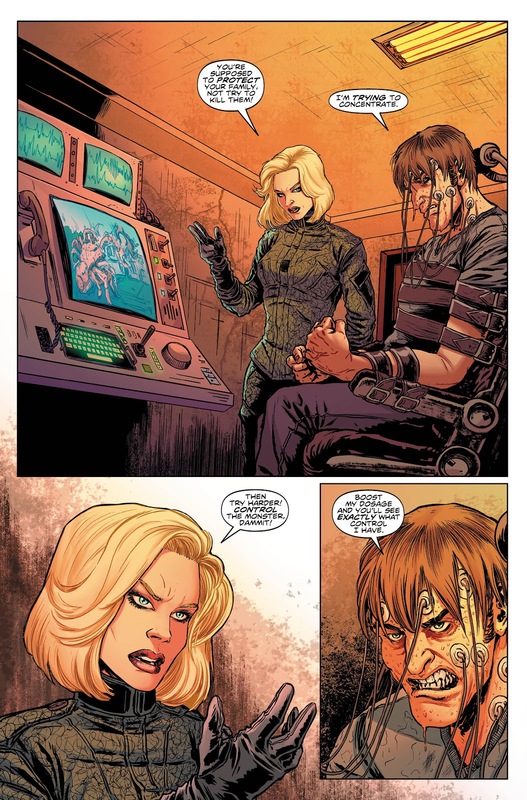 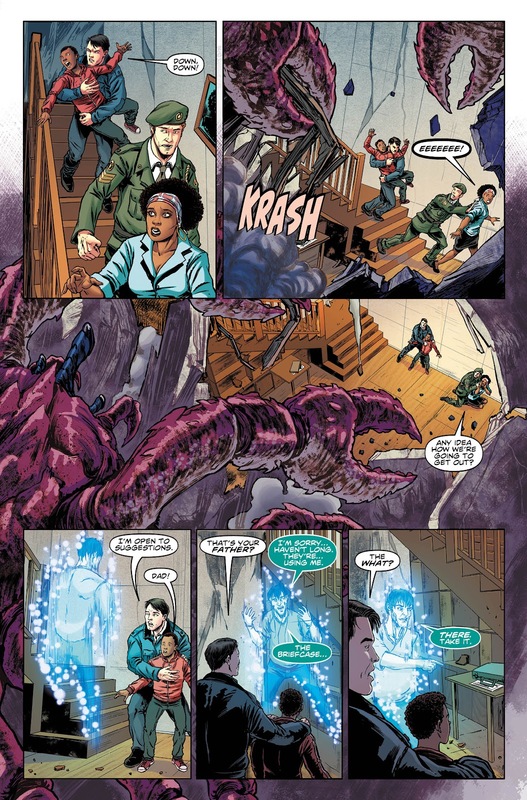 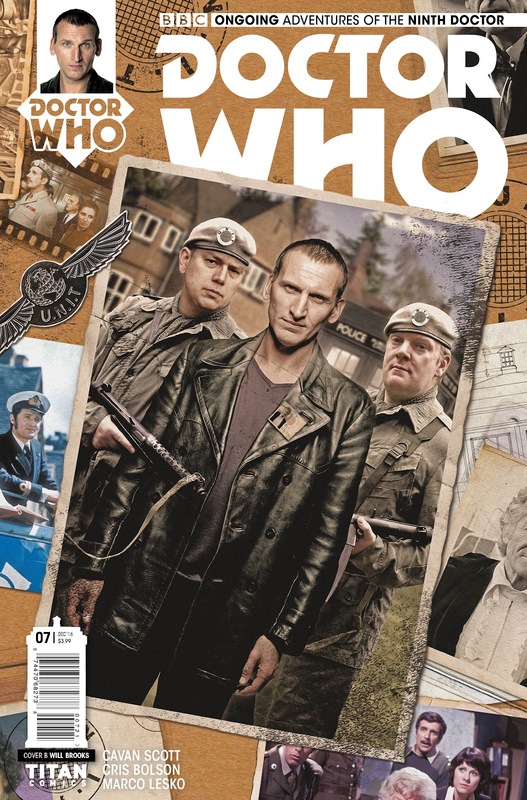 The Fellowship has obtained a first look at DOCTOR WHO: THE NINTH DOCTOR #7 from Titan Comics. 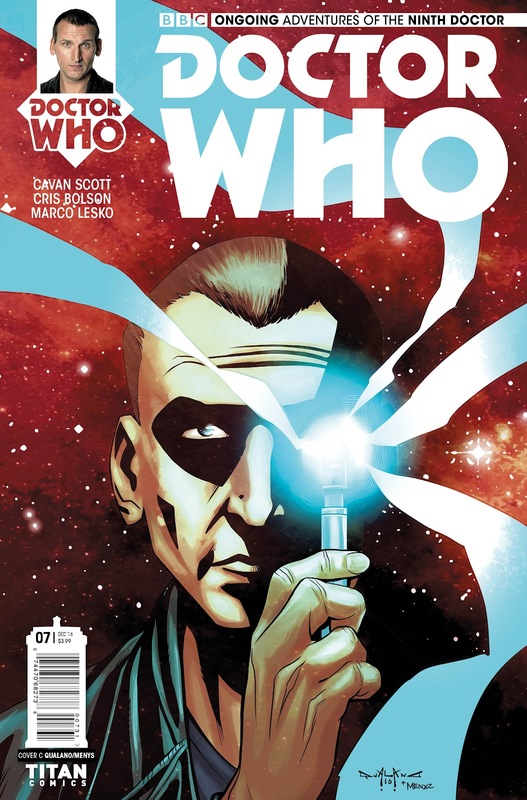 The issue, which hits stores November 23rd, is written by Cavan Scott with art by Chris Bolson. 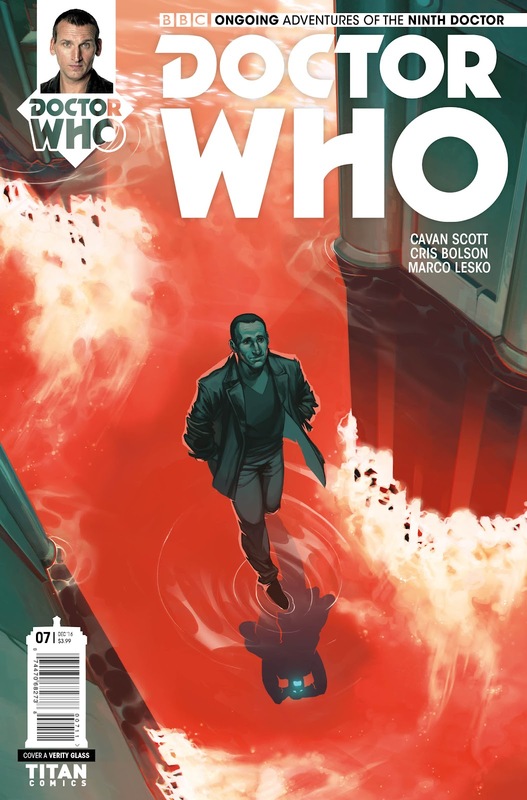 The covers are by Verity Glass, Pasquale Qualano, and a Photo variant by Will Brooks.